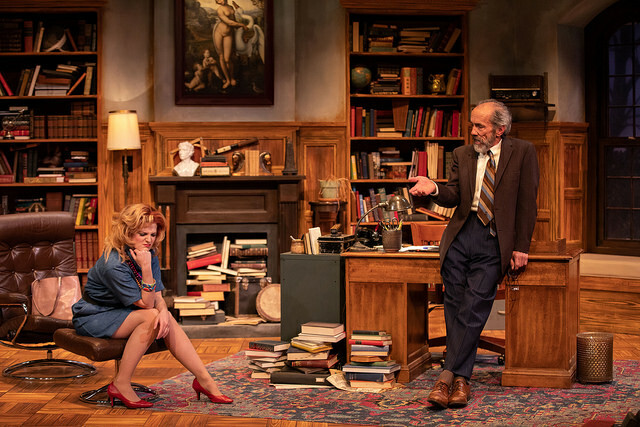 Step into the Black Box Theatre of Arvada Center and find a quaint tenured professor’s office in the 1980s Liverpool, England: mahoganies, birch, and various wooded furniture sprawled with myriad books, term papers, and one untended decorative plant. Welcome to Frank’s office, the near-retired English hero of this comedy. Opening scene he is bantering over the phone with his wife until Rita, a young Scot full of grit and enthusiasm, tries frantically to open the door to his office. 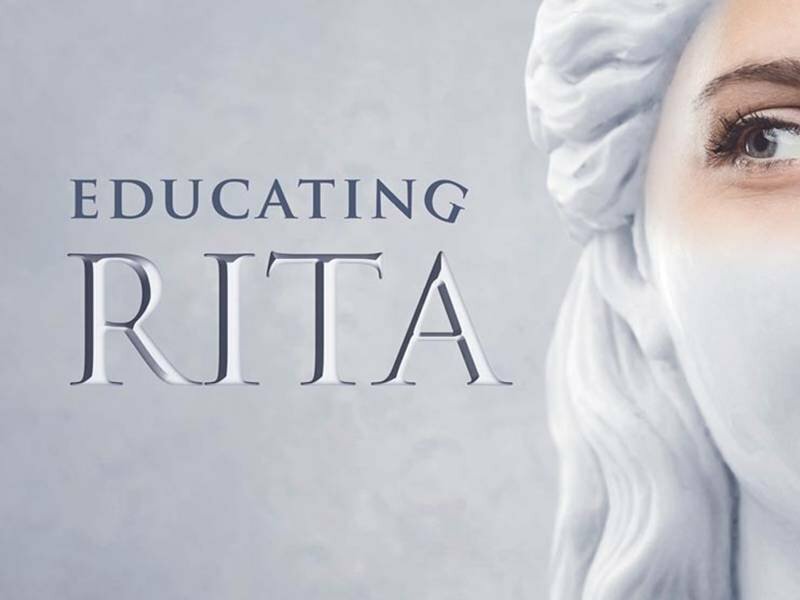 So begins Educating Rita, a heartfelt and cynical look at how the English and Classicist education molds students into the same. Written by English dramatist Willy Russell, Educating Rita stars John Hutton as Frank, and Emily Van Fleet as Rita, both whom find love and home in each other’s characters. 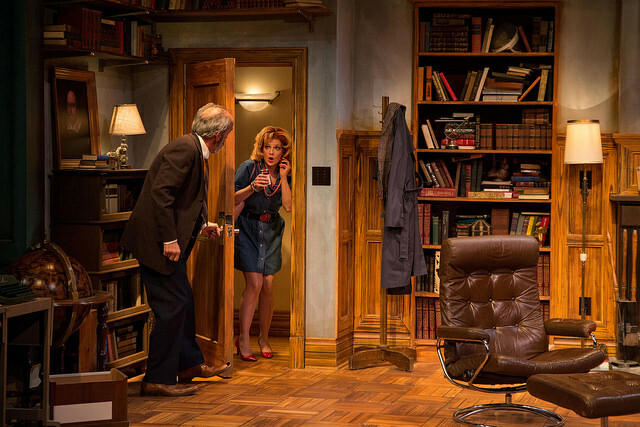 The play is written so the two are comfortable off the bat, and that is exactly how Hutton and Van Fleet deliver their parts: Rita is ready for anything new, as Van Fleet portrays in owning every scene, and Frank has seen it all which Hutton has no problem becoming the wise old English professor he acts. Between every scene was played a Bach-esque cello number (nigh certain a suite from JS Bach) which tied together and represented so well the passing of time. An astute audience may have noticed the slight changes in lighting, done by Jon Olson, depicting the time of day and perhaps even the time of year, as well as the snow falling outside the office window during winter term. What stood out were the countless books: books covering the walls, books stacked on the floor—it was the perfect artistic touch. I learned that the majority of them were real and some were faux, borrowed from another theatre company. Hidden behind these books Frank would pull out another bottle of liquor. Watching the tension build and the growth of these two characters was what made the show. Nothing was amiss, nothing underdone. Hats off to director Lynne Collins for messing every scene perfectly. I’m grateful for having seen it and really can’t think of anything bad to say about it. I’m contemplating seeing it again with a friend. Tickets are a great price and it makes for a great date. 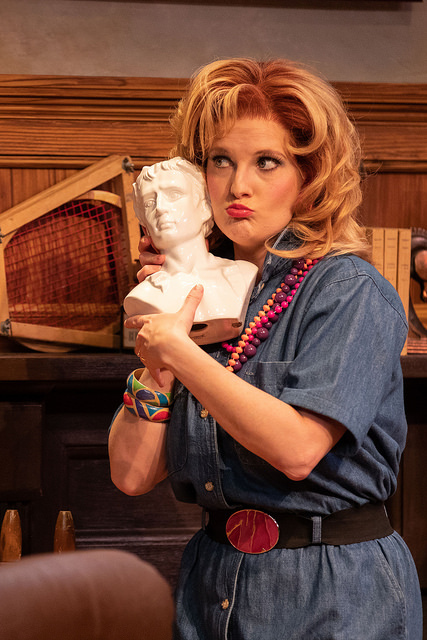 EDUCATING RITA is educating audiences now until November 11th. For tickets or more information, contact the Arvada Center Box Office by calling 720-898-7200 or online at www.arvadacenter.org.